1. 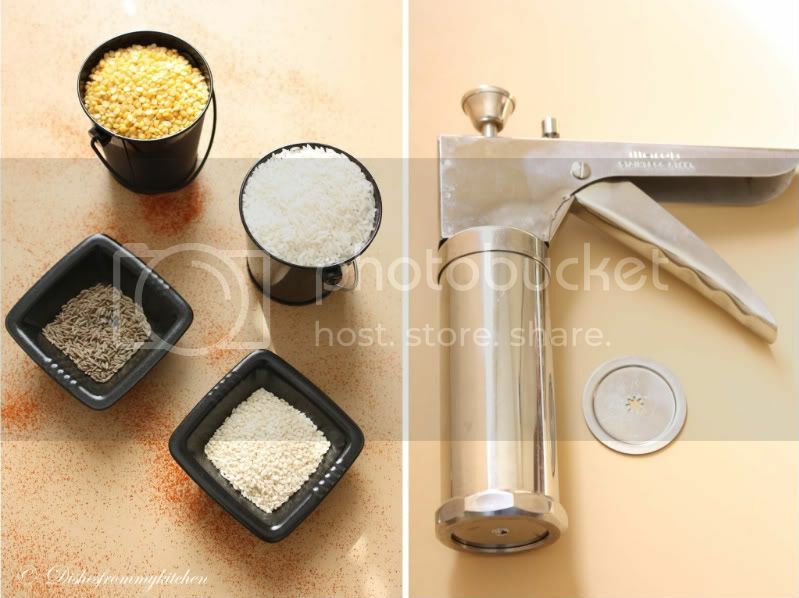 Take the flours in the big bowl, add all other ingredients including cooked and mashed moong dhal. 2. If your adding butter add it or add 2 tbsp of hot oil. 3. Add water and make like a chappathi dough. 4. Heat the oil in the deep vessel or deep frying pan. The oil should be really really hot. 5. Now fill the dough in the murukku press and press into the hot oil. ( This can be checked by adding little piece of dough, when it comes up immediately without settling down it means its ready). 6. Don't reduce the flame, it should maintain the same temperature. You can notice more bubbles in the oil as soon as the dough is pressed. 7. When the bubbles are reduced , flip it over and once the bubbles disappears or reduces. Take it out and drain in the paper towel. Repeat with remaining dough. 8. Once it is cooled store in the air tight container. 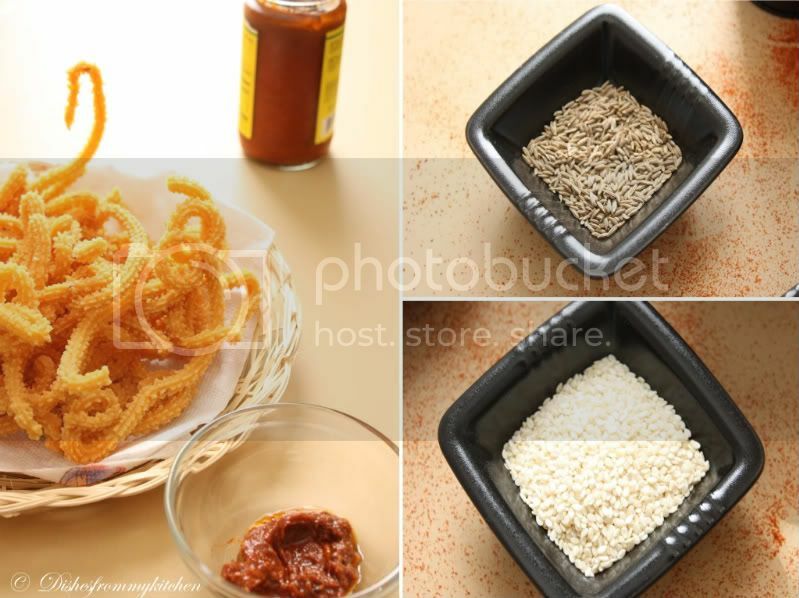 You can have this murukku with onion pickle or any of your fav pickle. That looks very crispy and yummy, I have never tried muruku with pickles. Looks great. AM drooling over here seeing ur Muruku Man its looks great! 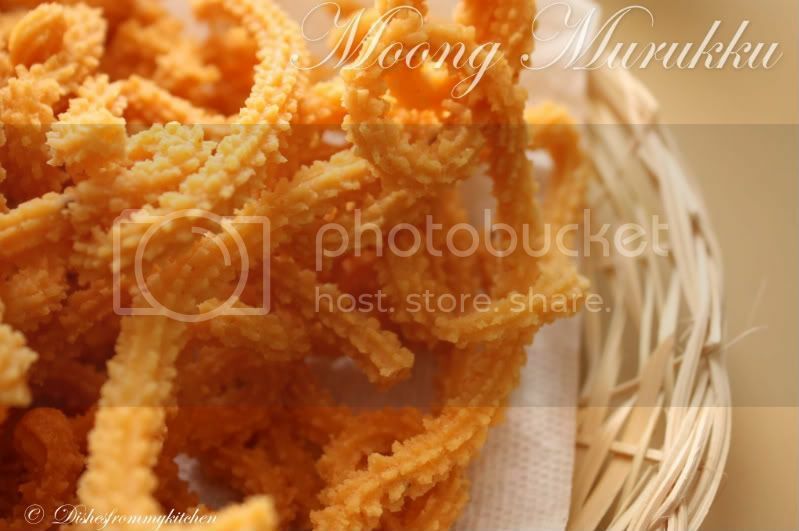 Love the idea of enjoying this crispy murukkus with onion pickle, crispy murukkus tempts a lot..
awesome click...murukku looks perfect and crispy!!yumm!! Amazing clicks and love the murukku..
Lovely murukku!! 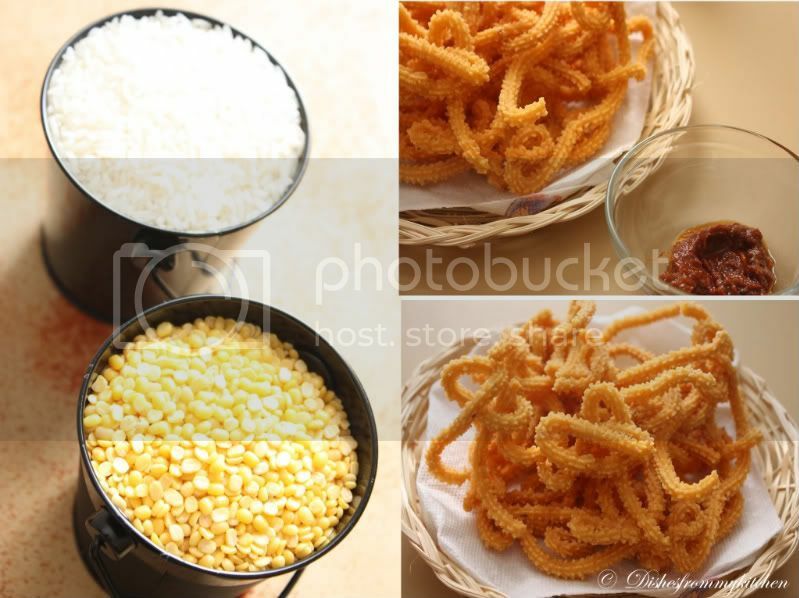 Especially the last picture is as if you are feeding us with a murukku piece. Nice pictures and nice decorations! 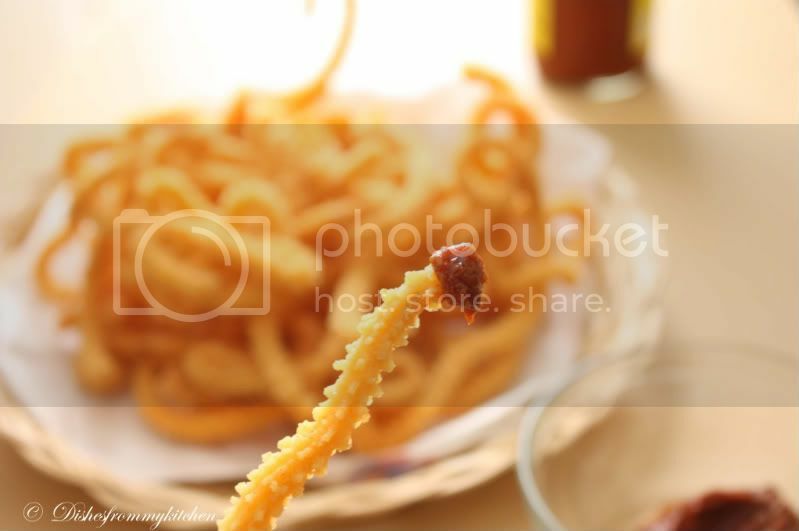 looks crispy n yummy like to grab the plate..
Looks so crisp n yummy ... Love the clicks !!! 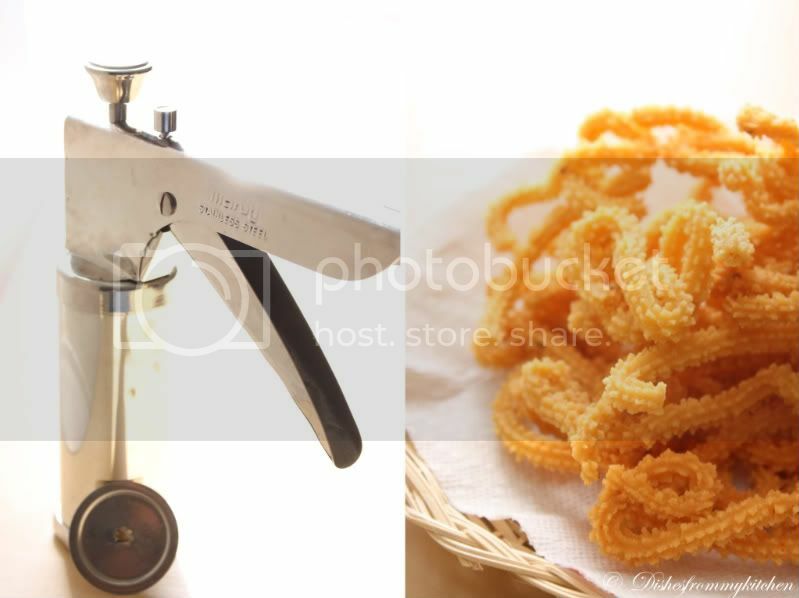 Love the pictures as usual Pavi - wishing I could bite into that murukku! Eagerly awaiting your sweets! Mouthwatering & Crunchy Murrukus. Love to have them with tea. Lovely presentation and bookmarked for sure!